Tony Fretton Architects has completed this hybrid development located on the corner of Holland Grove and Vassall Road in Lambeth, South London. The 1490m² building comprises of ten apartments and a medical centre, which occupies the entire ground floor. The new 3 and 4-storey development replaces a derelict pub, which originally served residents of the surrounding housing estate. 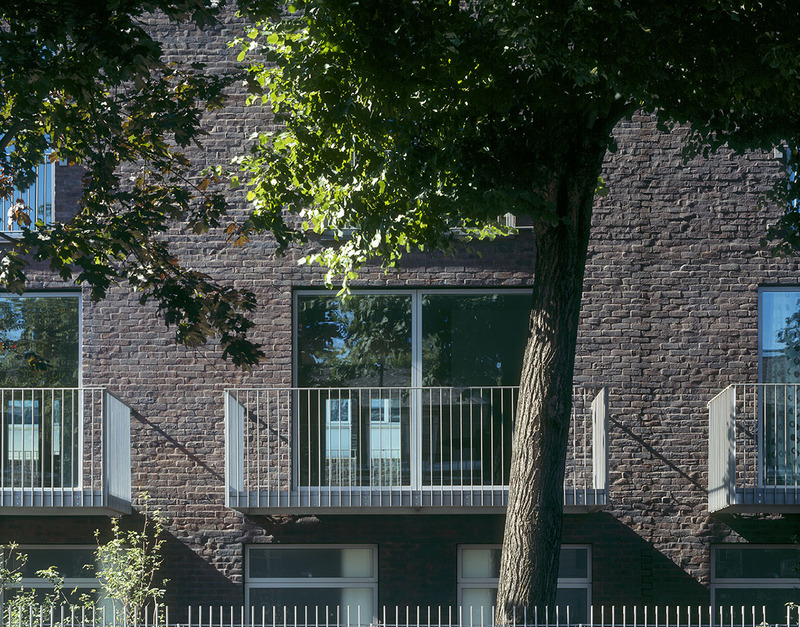 The building is designed to mitigate the disparity between the 1960’s brick social housing which has been retrofitted with plastic framed windows and pitched roofs and the dignified arrangement of eighteenth century suburban villas opposite. The design of the building presents itself as a formal terrace within a galvanized railed garden consisting of the doctors’ surgery as a base, a row of seven maisonettes and three single-storey flats arranged in a tower configuration on the corner of the development. Windows and balconies at the first floor are a response at a smaller scale to the villas opposite. The galvanized steel and the red brick facades have been painted to simulate the aged quality of the locale. The slender railings offer a dignified enclosure to the terrace and upper apartments.